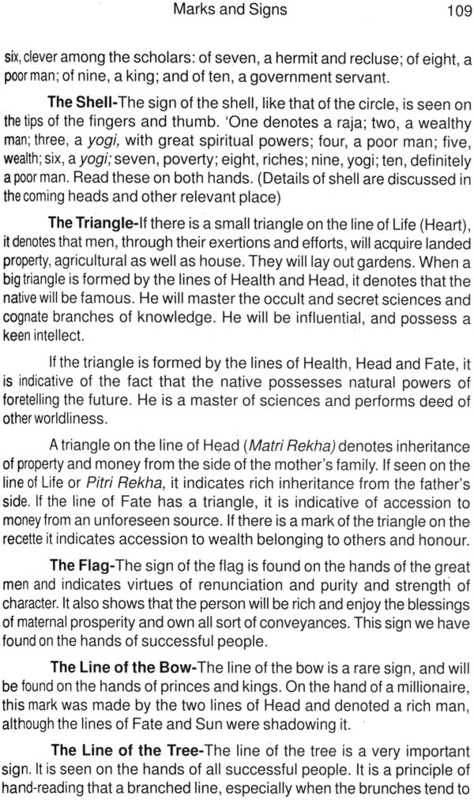 The system is being practiced by the Hindu Astrologers from ancient time and there are still some astrologers who can accurately estimate the birth from the hand. Unfortunately the subject is getting extinct for the reason that has been kept secret with great care and its knowledge usually runs in families with astrological profession. Occasionally one may be fortunate enough to get a few tips from an ascetic, with many of whom the art is still extinct. In the determination of a correct horoscope it is essential that the astrologer rest his option not upon one or two factors, but upon a series of factors while when properly put together give him a complete, or nearly a complete picture of the Native. It is futile for an astrologer to attempt to base his judgment upon a signification as for an architect to attempt to determine the appearance of a house by seeing one of the stones while has been removed from its walls. Indeed, hand-reading is the key to life’s events as governed by one’s own destiny, mind and will; and as influenced by different circumstances and environment. Palmistry show how every human being conducts and directs his life through his talent and disposition, and what event are in store for him, and whether the said events are the direct outcome of his behavior or circumstances which are beyond his power to resist such as illnesses or sudden accidents. A glance at everything around us, at home, office, the theatre, etc., will explain the value of the hand in our daily lives. There is nothing in while the hand of man does not play a great part the hand, being the mirror of the brain, does not lack to demonstrate the close relations between the brain and the hand. In the Vedic tradition, hand analysis falls in the category of Samudrik Shastra, a Sanskrit term that translates roughly as “knowledge of body features.” This tradition assumes that every natural or acquired bodily mark encodes its owner’s psychology and destiny. Elevation, depression, elongation, diminution, and other marks become relevant. Traditional stories in India thus abound with descriptions of rare auspicious markings found on the bodies of memorable people. As proof, legends about lord Rama and Krishna, Gautama Buddha and Mahavira Tirthankara conform to this tradition, indeed, Hindus, Buddhists, and Jains share this ancient Samudrik Shastra tradition. Not to be outdone, fragments of it pop up in other cultures as well. THE science and art of Astro-Palmistry is that branch of Palmistry which deals with the determination of birth time from hand-reading. The importance of this section of hand-reading cannot be questioned from the very fact that the birth time in many instances either unknown or imperfectly recorder, can be found out by methods set in the branch. 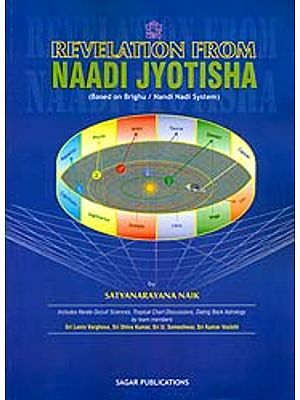 The system is practiced by the Hindu Astrologers from ancient times and there are still some astrologers who can accurately estimate the birth time from the hand. Unfortunately the subject is getting extinct for the reason that it has been kept secret with great care and its knowledge usually runs in families with astrological profession. Occasionally one may be fortunate enough to get a few tips from an ascetic, with many of whom the art is still extant. But as these religious persons live a secluded life away from the People, It is very rarely that one can get the advantage of learning from them, particularly as these retired men are very whimsical by nature. 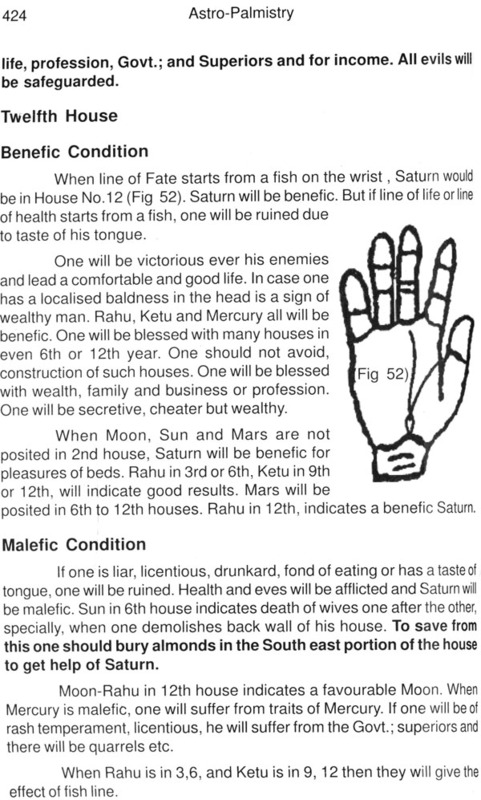 Owing to these peculiar circumstances the practice of Astro-Palmistry is confined to a handful of astrological practitioners who naturally get preference to their fellow brethren, as there is no better convincing test of their knowledge to their clients than correctly estimating the birth time before proceeding to read the events of life. The modern science of hand-reading, in spite of its great advance from that of the past, regretfully lacks in this portion. With the exception of a few casual hints on estimating the age, nothing about this is found in the western science. 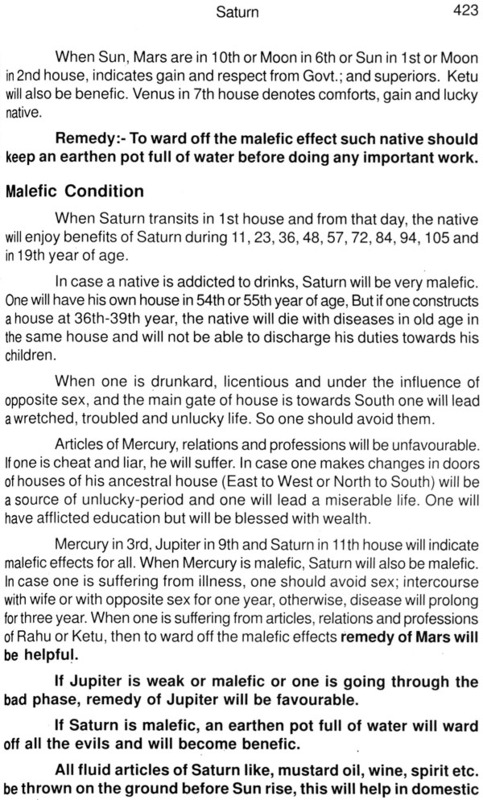 There is no hope of obtaining the knowledge from the present day astrologers versed in this subject. Although the subject may be still lying in the form of manuscripts with some, it requires great effort and expense to locate and decipher the subject. Such is the status of the most important segment of palmistry. A few hints to the beginning will not be out of place. The study of the present subject is not as difficult as it may appear at the outset. The beginner should not, in the least, be disheartened particularly by the discouragement from his fellow brethren practicing the art. The first thing he should do is to try the rules in the hands of persons with known birth time. Having done so in at least some dozens of cases and having been able to correctly estimate the birth times already known, he should then proceed to examine the hands of cases where the time is unknown. He is sure to make mistakes in beginning, but will master the subject after he has gained some experience. Nothing can be learned in a jiffy. In the determination of a correct horoscope it is essential that the astrologer rests his opinion not upon one or two factors, but upon a series of factors which when properly put together gives him a complete, or nearly a complete of the Native. It is futile for an astrologer to attempt to base his judgment upon a single signification as for an architect to attempt determine the appearance of a house by seeing one of the stones which has removed from its walls. We would again like to thank our readers for subscribing to our work and hope that his will go a long way in establishing a common man’s faith in one of the fields of Astro Palmistry which is known as Samudrik Shastra. We would look forward to your valuable suggestions which we would certainly try to incorporate in our forthcoming works. There is a belief in Hindus that some cosmic power, derived from the ethereal nature is clearly evident to human beings. This power gets diffused over and pervades in the whole Universe. Fire and air, the first of the sub-lunary elements are encompassed and altered by motions of the ether. In their turn these elements encompass all the inferior matters and differ it as they themselves are varied; acting on land and water or floura and fauna. To study the earth there are five elements, nine planets and other celestial bodies which are used to study the cosmic effect on earth. Human being is also a part of earth and also faces the some affect accordingly. To study this affect of these elements on the human being there are eight fields of study which are suggested by our seers to forecast the good or evil happening in the life of a human being. Of all these, the Anga (body limbs) gets the place of honour by having been mentioned first. Palmistry, as we understand it, forms the most important part of this Anga Vidya. Now here we would like to quote the basic principle of world famous book ‘Lal kitab’ which says that when the Almighty so ordains, a child is born. When he is born, his fists are closed. He generally keeps it so and does not allow anyone to see his palm as if he does not want to reveal his secrets and the treasure concealed in his tiny fist. The empty space in the fist is nothing but a fragment of the sky. It contains nothing but air. With the movement of the fist, inside air comes into motion, then motion produces heat, heat generates fire, fire produces water, water creates dust earth and earth is Universe. When the fist is opened, the palm and the fingers appear apart. Separate lines and signs are found one different places and on several parts of the fingers and the palm. They are separate, yet when blended together, they become one. The palm of the hand is described as the ‘great continent of the land’ or ‘open universe’. The portions protruding above like small mountains in a pond are called mounts. Lines are like water rivulets with surging waves moving hither and thither. Out of these lines, one of them is named as the line of life (age) and the other as that of fortune and when put together, they all from an ocean. Palmistry is the art or science of hand reading indicating one’s nature and fate in the lines and lineaments of the hand. 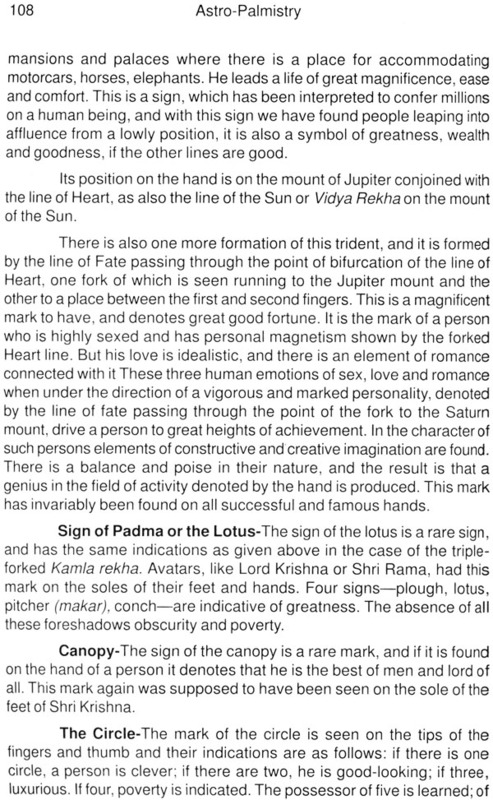 When Palmistry is combined with Astrology then a new word/concept is coined known as Astro-Palmistry which means the science dealing with the nature of a person, his fate and character as influenced by the position of the planets on his palm. Lal kitab further says that, god, the Almighty, has decreed destiny of a man and inscribed it on his palm. The has been despatched in such a manner that it is never lost, or changed or forged. The protruding mounts on the palm help in preventing / supplementing malefic or benefic effects of each other depending on their respective height, width and strength. Similarly, the effect/movement of water (destiny) depends on the depth, cleanliness and smooth passage in the streams of the rivers (lines). If the stream and the river are shallow and narrow, they not only have less water (luck) but even the force of their flow (effectiveness) is also less. Different signs on the lines are obstacles in the floe of rivers. The river (line) brings along, with it, the effect of the soil while passing through the mountains (mounts). Strong, slow, sweet and bitter effect of the air and medicinal plants growing on and around the mounts also get blended in the water. Exactly in the same way, the specific conditions of the Houses affect a man’s life. If a horoscope is compared to the continent of the palm, the direction of sight (aspect) and mutual relationship of the planets are the passages of the rivers. The chart serves as an indicator of bringing about changes from the surge of waves created from personal friendship or enmity of planets and their effect. These appear often during the fixed periods of planetary transits. The fingers and the continent of the palm have been divided into 12 parts. Mounts have been split into 9 parts. 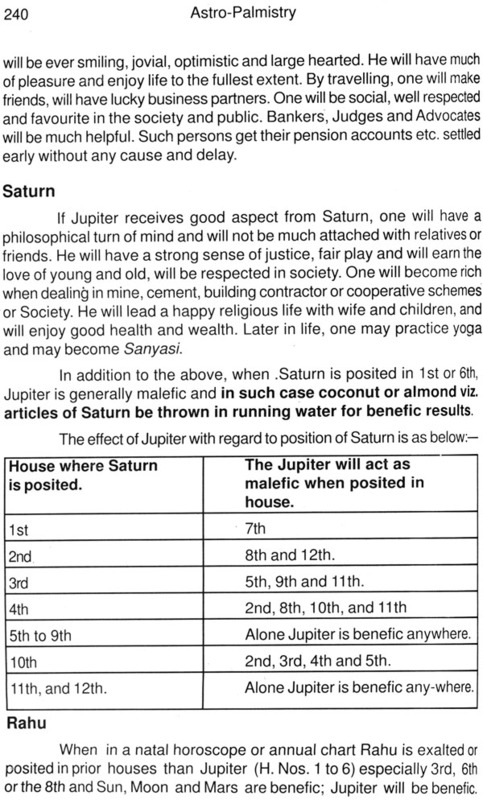 These 9 planets (unknown power) and 12 signs (man’s strength) together form the basis of this science. In addition to planets, Houses, and lines, places of abode, dreams, pets/cattle, friends and omens are essential aspects of this subject as a whole. As soon as the unknown reflects itself in different parts of the mind, and appear as water of the rivers of hand and long continuing chain of mounts becomes apparent, the breathing of the child takes its course. 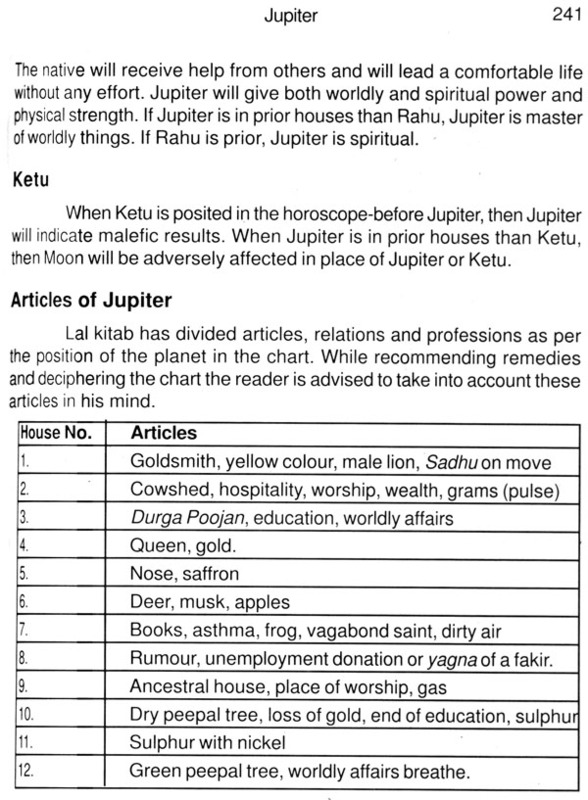 The mounts on the continent of the palm (9 planets) and 12 parts of the four fingers (12 houses) are found exactly to be the same in its horoscope. If anything is separate, it is only the thumb. It is found without any direction and is designated as indicator/measure of good and evil. In the beginning, there was empty sky in the universe. It was in the shape of Mercury. It was all dark, and Saturn ruled. Then light, in the form of rays of the Sun appeared along with light (Sun) and darkness (Saturn), air (Jupiter) was found both in darkness as well as light. For example, a box contains air in its empty space as well as outside. It means that the glass of Mercury would permit both light and darkness from inside and outside vice-versa, but it would not allow air to move in or out. 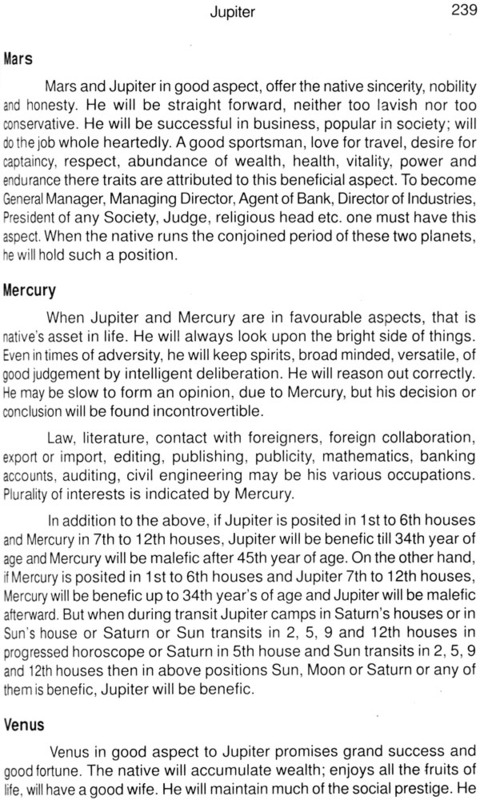 This is the main cause or enmity of Jupiter with Mercury. The planet of Mercury, which controls the empty space of sky, has the strength to keep Sun and Saturn together and apart. It is this glass box of Mercury, which causes knots in the sphere of Jupiter. This knot called ‘the planetary conflagration’ that is the force of tying together, air (Jupiter) and sky (Mercury) which determine the fate of the child. In fact, each mount on the palm or each step (mount) of the nine months in mother’s womb is known as a planet. The real essence of power of nature is in planets. This is why each of the mounts, roots of fingers and folder of the palm form the basis of Palmistry. 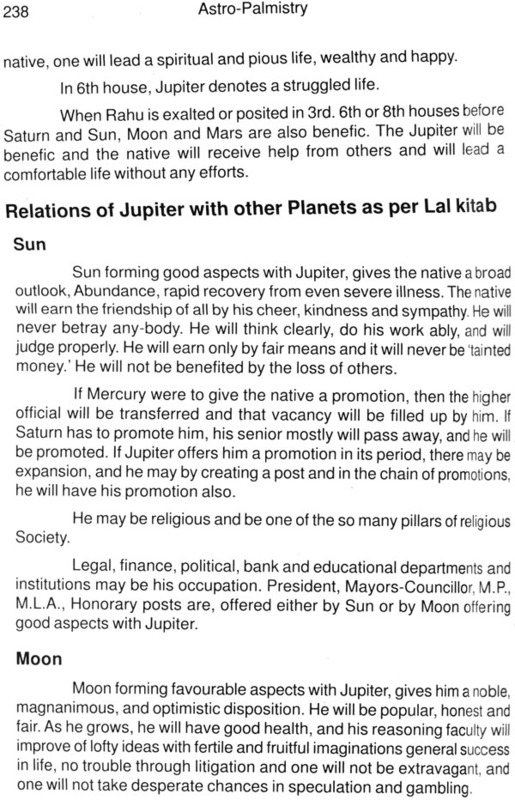 It is added here from Lal kitab that planets affect all living beings alike. Be it birds, cattle or man. A man’s destiny is determined at the time of his birth. He himself can do very little to change it. The child comes into the womb of its mother, created and shielded by supernatural powers. And then it reaches this world from the closed chamber. The mixing of the divine and the earth creates child’s breath (life). He gets exposed to the long and tortuous hypocrisies of the world. Duality becomes apparent. 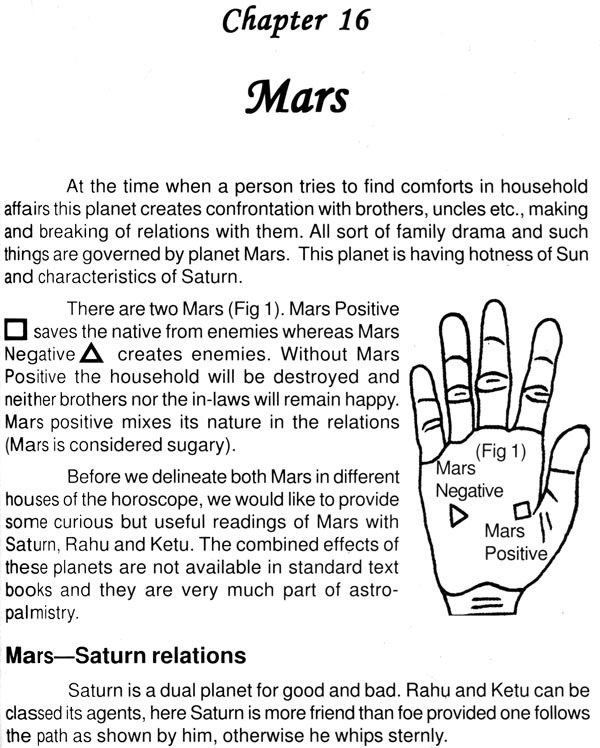 Based on the knowledge of palmistry, the course of life can be interpreted with the aid of astrology. Doubts, however, arise as to how the lives of the people born at the same time whether in the same family or city or in different parts of the world do not follow the same course of events. Similarly, how calamities like earthquakes, accidents and floods have the same simultaneous effects on thousands born at different times and having different charts. Thus, we find that astrology and the mysteries of the human body have always been closely connected and the earlier habitants of earth also kind to firmly believe that the fact of every person not only depends on the planetary configuration at the time of birth but the same is likewise marked out in the face and hands 9and even whole body). Modern experience still further proves that the face and hand rarely, if ever, contradict each other in delineation of their signs and meanings. It is also remarkable that delineation of horoscope and hand of the same person agree very closely, even if read by different people. 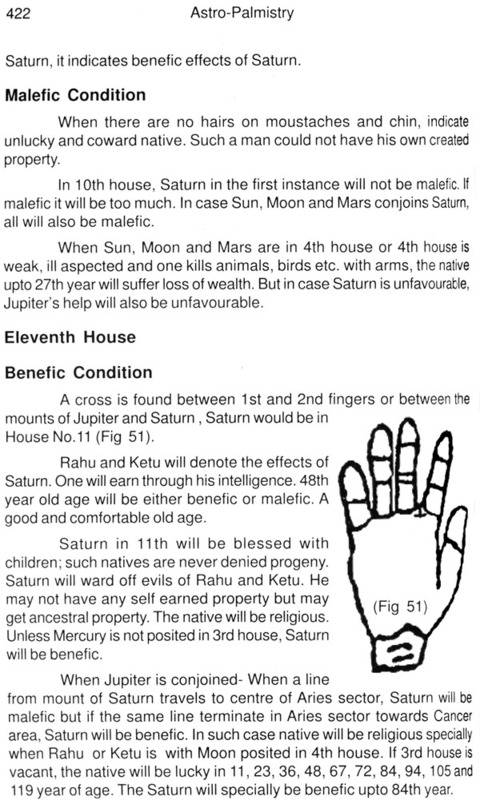 The Palmist has one advantage, in that the hand of a person is a ready instrument for his work, whereas the students of astrology is dependent on accurate birth data, the latter is in most cases is difficult to ascertain, but, if these can be gleaned from the lines of the hand, they will be of inestimable value to both the students of astrology as well as those of palmistry. 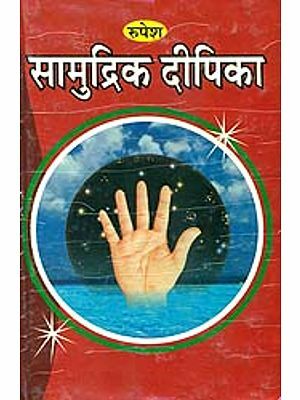 The palmist should read both the hands of the male and female as per the cannons of the Astro-Palmistry (Samudrika Shastra). The right hand confirms the lines on the left hand. Right hand tells whatsoever the native generates during his life. 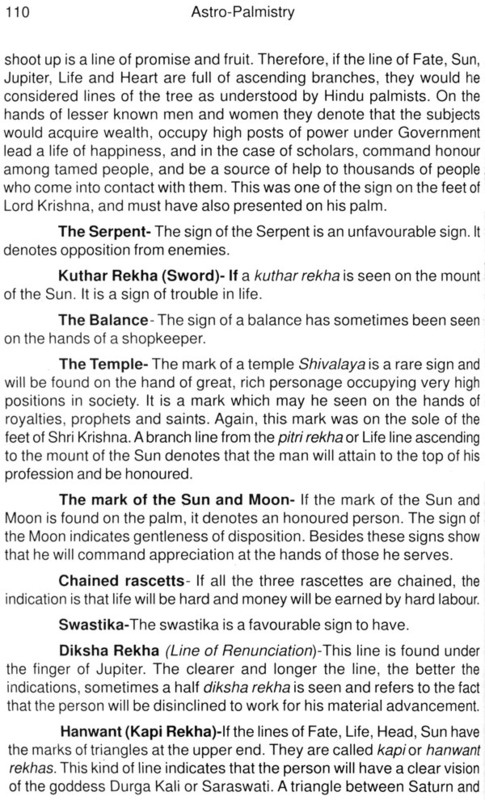 The left hand tells the efforts made by the native in enhancing his luck. Therefore, this hand is called passive hand. Such study would certainly give an insight into new folds of the life of a person.